On a recent weekend, as my wife and I enjoyed one of our precious date nights, we reminisced about our day of visiting some of our active San Diego remodeling projects, clients, and sites throughout the county. It was a pretty rainy and windy day, usually not the normal scene for a San Diego spring day, but lately, it’s been hard to judge what the weather will be like from one day to the next – and these day working on a remodel project in San Diego while it’s raining is definitely better than not working at all. We started off our jaunt around San Diego County with our first stop being a whole house remodel in Delmar. A brief 20 minute visit with our remodel client resulted in a couple of important decisions being made in time for framing on Monday – a new door size to better fit the proportions of the new walk-in shower at the master bath area and the all-important soap and shampoo niche location at the bathroom remodeling portion of the project were bountiful fruits for the visit. After that, we scooted down to Mission Beach so that I could measure a couple of things on another whole house renovation we were designing. This coastal design-build remodels right on the beach side of Mission Blvd. would prove to be a challenge, mainly because of logistics. With limited parking available in this San Diego beach area, the project would need firm coordination of workers and subcontractors. The next leg of our trip resulted in my wife remembering a great little Greek hole in the wall lunch spot we discovered about a year ago during a kitchen remodel and window replacement project in Poway. Santorini’s at the corner of Espola Rd and Camino Del Norte…a great little lunch spot! Yes, the Professional Contractor makes a profit, but by doing so he can afford to do more precise work and come back and fix any potential issues that may occur. You will usually experience shorter project start times and more efficient production schedules with this type of contractor. Back down the hill into Escondido to get caught up on some paperwork, a seemingly endless task in running a bustling San Diego remodel & design firm, and then a little downtime. With the teenagers headed off to a birthday party for a friend, we were left with no other option than to head to arguably the best sushi spot in San Diego. Specifically, Pacific Beach, home to several of our favorite San Diego residential remodel clients and to Sushi Ota, next to a 7-11, in a strip mall – don’t take my word for it – read their reviews! Needless to say, after driving through a full tank of gas and seemingly visiting the four corners while tracking and managing our San Diego county remodeling projects, a little fresh seafood and sake were just what the doctor ordered! 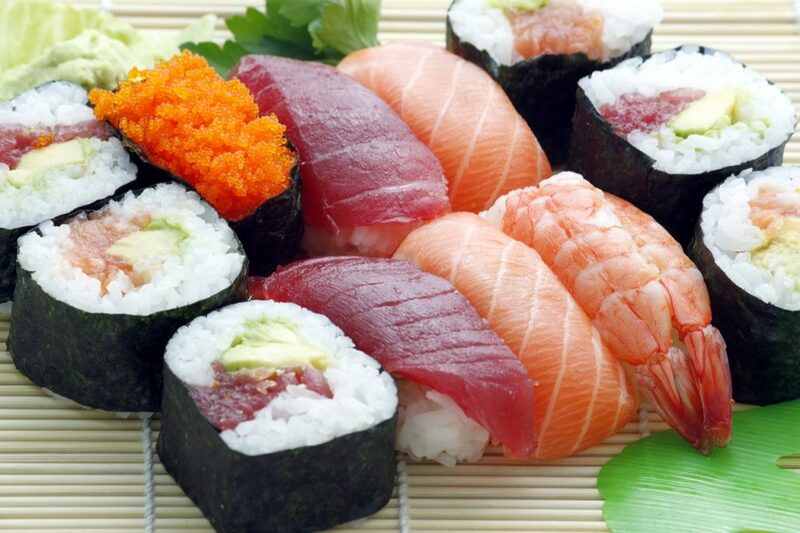 For more information about sushi or even to put our extensive San Diego remodeling experience to work for you, contact Sheen Fischer at (760) 738-6270 or email him at sheen@specialtyhomeimprovement.com.